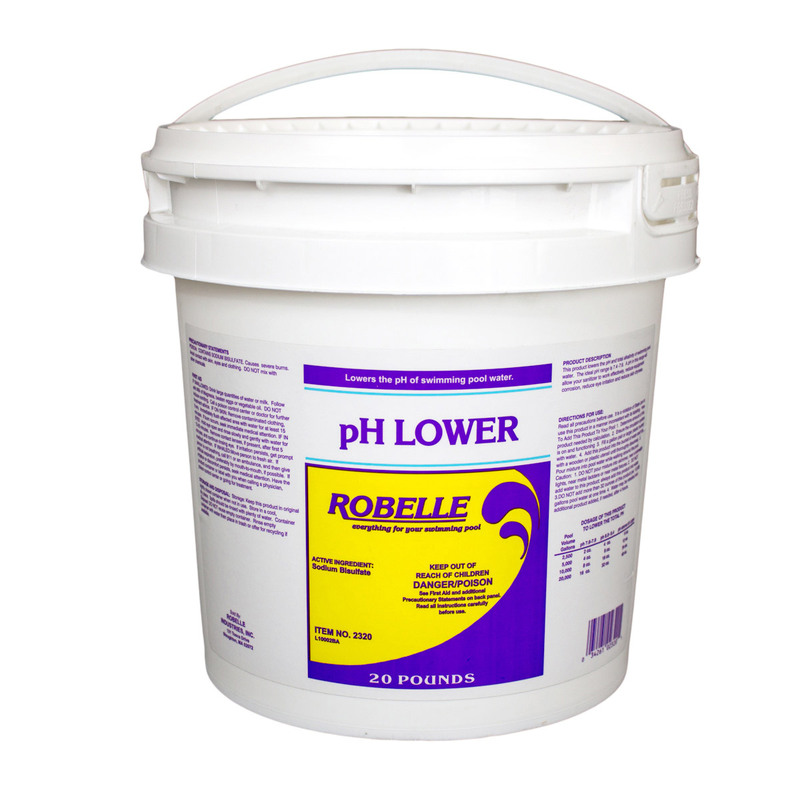 Robelle pH Lower prevents eye and skin irritation and scaling that will damage pool surfaces and pool equipment. 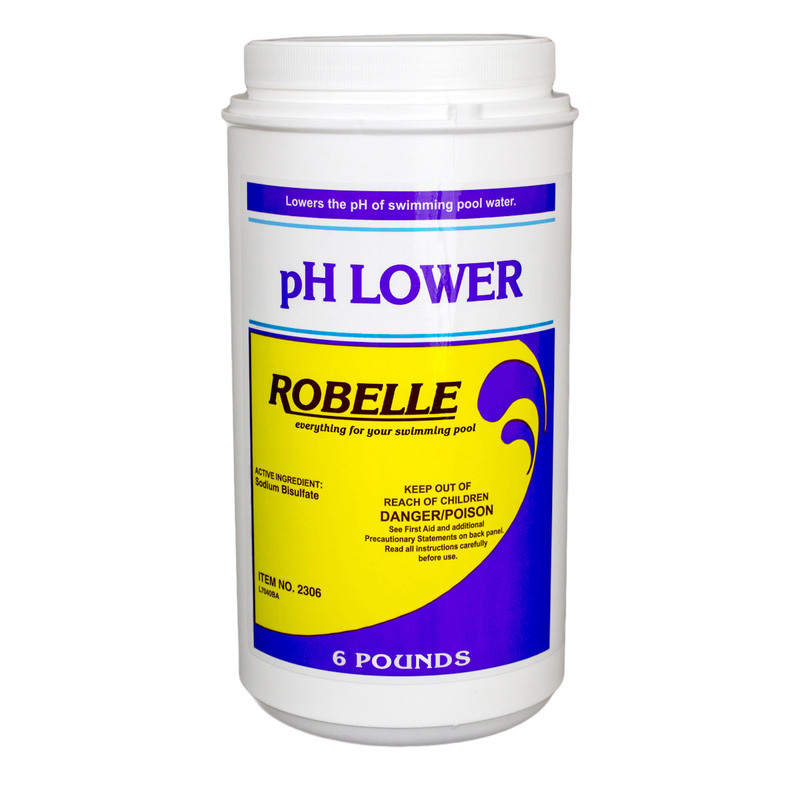 Robelle pH Lower is used to correct pool water that is too basic or alkaline, where pH levels measure above the ideal range of 7.2 to 7.8 ppm. To decrease the pH level, add 1lb. pH Lower per 10,000 gallons of pool water. This will prevent scaling, calcium deposits, and cloudy water conditions.